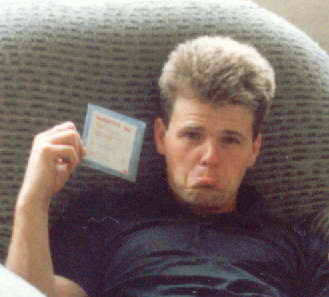 It’s Steve in a sulk! 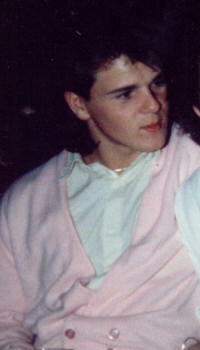 Aww.. Steve in a pink Cardie…. note the co-ordinating pink buttons! 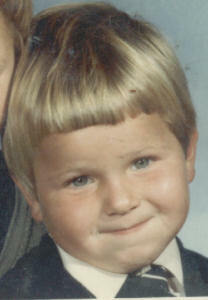 Awww… Look at the ickle baby steve…. Isn’t he cute! our only weapons were, masking tape, a penknife and a REALLY big stick! hi again, last night I went for a BBQ at sues and it was top!!! I got caked for the first time ever!! It was only a tea cake but oh well its a start! Me, Kate, vicky, simon, jess, megan and connor made a video to Amarillo with steve as director, it was top!, then we just nattered all night till 11 at which point I went home so thanks sue for a great night! Ive got a hamster!!! !, he is a grey syrian called sirius! oh and i have bought a camcorder, cool eh? Please, stop using internet explorer and MSN!!!!! Before the world caves in!!!!! school 2morrow but oh well, at least i get to see my mates! im going to my cousin chloes later and my mums going to an embossing class and my dads comin to chloes to to fix a computer, typical dad! By the way ive got a really bad cold! I’m Going to St Bedes!!!!!! in manchester!!!!! !